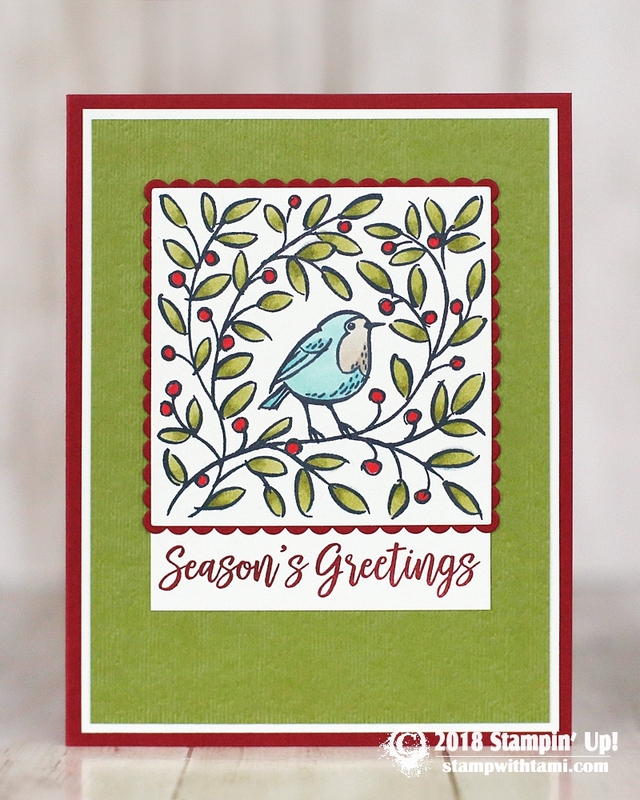 Adorable “Season’s Greetings” card from the Stampin’ Up Feathers and Frost stamp set. The image is colored with Stampin’ Blends markers. It’s cut and layered with the Layering Square Framelits. The old olive background is textured with the Subtle Folder.